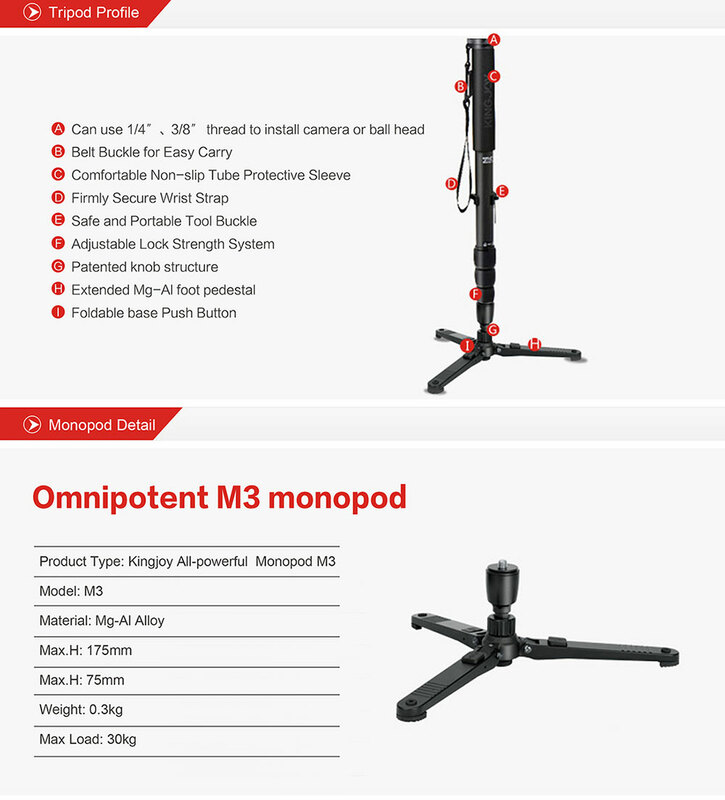 A scientific and comfortable hydraulic damping ball head for your tripod, 1/4" screw and 3/8" screw hole make it possible to mount on almost all devices, 360° rotatable ball head and detachable handle make it convenient for you to adjust the angle to suit your needs better. Fine tuning know of hydraulic damping system makes it possible for you to adjust it accurately. 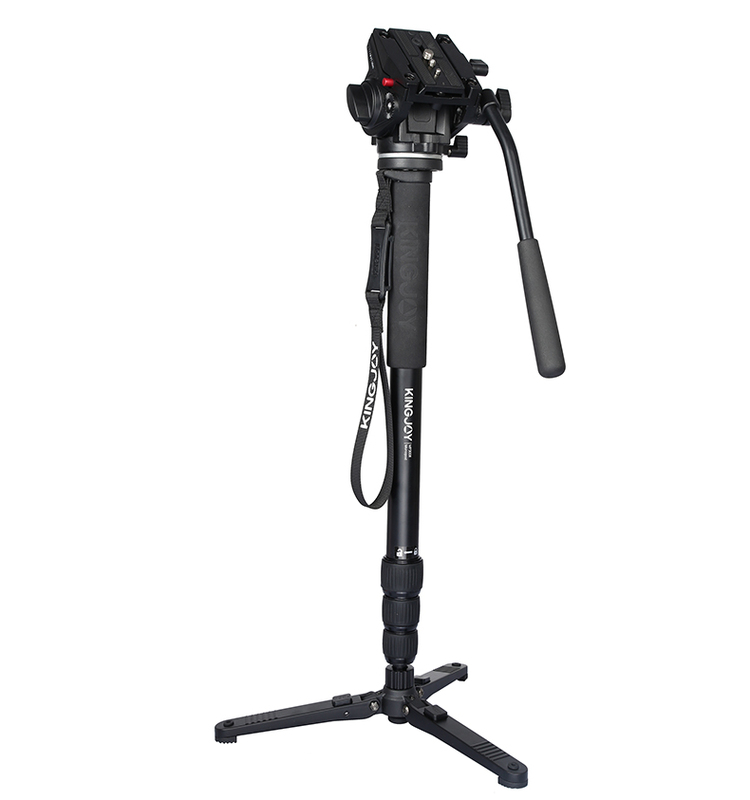 A perfect choice for both professional photographer and shutterbug. 1/4" screw to mount your camera stably. Bottom with 3/8" screw hole to mount on almost all types of tripod. 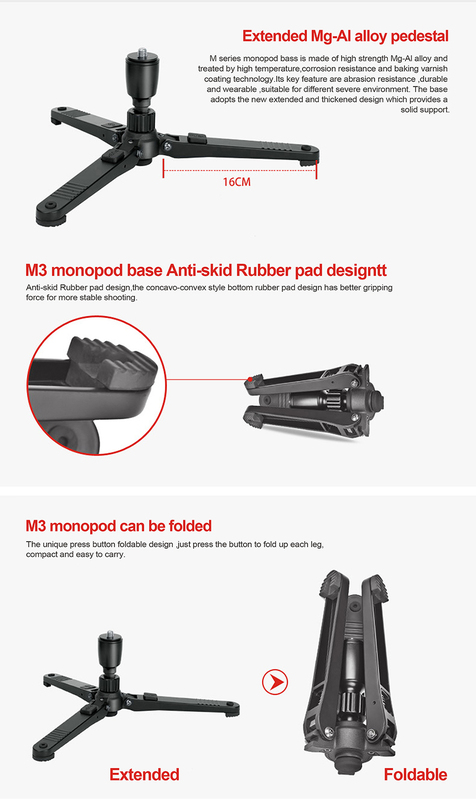 360° rotatable head to suit your needs with different angle.